We'll begin by creating a macro that selects the cell that we specifiy. 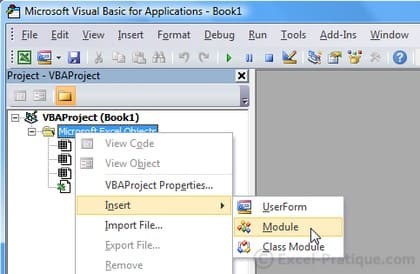 In the module, type "sub example" and press Enter. 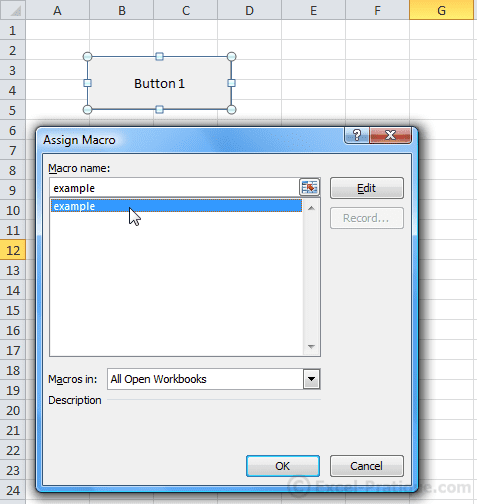 You can test this macro by clicking on your formula button, and you will see that cell A8 is now selected. 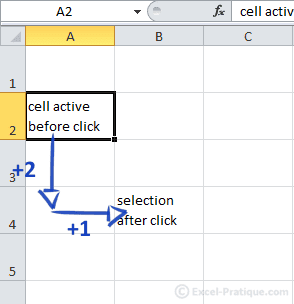 Excel will now activate Sheet 2 and then select cell A8. Comments (text in green) will help you understand the macros in this course correctly. This method of selecting cells allows for more dynamic selections. It will be quite useful further along. In this case, the row number is: Int(Rnd * 10) + 1, or in other words: a number between 1 and 10 (there's no reason you should learn this code at this point). 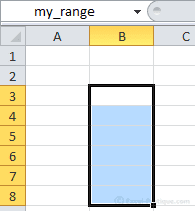 It is possible to select entire rows using the Range or Rows commands (the Rows command is of course specific to rows). As with rows, it is possible to select entire columns using the Range or Columns commands (the Columns command is of course specific to columns).